Lakers rookie Lonzo Ball sat out the Rising Stars game last week with an injury. He missed extensive time in his debut season in Los Angeles nursing injuries. That did not stop him from releasing his debut Rap album, mixtape, project or whatever you want to call it. Other rookies have found his hobby/side-hustle amusing. Either way, Zo’s debut “Born 2 Ball” is his attempt to solidify himself as the future of rap as well as the future basketball. He raps about his family, love life as well as… well his destiny to ball. Full disclosure, I did listen to the whole album twice which is more than most sports fans criticizing it. I gave it more of a chance because I’m a huge fan of the entire family and many of the songs make appearances on the Ball in the Family show. Still, the project proves Lonzo Ball should not quit his day job playing hoops anytime soon. At least, Lonzo can stay on beat and concept for an entire 18 track album. It’s relatively clean too which is more than can be said about most athletes attempting to rap. At best, the project is something you might see one of your old high school or college friends push across their social media accounts. I mean anyone can get a SoundCloud account and some pro tools these days. Either way, it’s always good to see an athlete put himself out there and share his art, creativity or interest. It’s not easy to do that when you’re a celebrity in today’s viral age. Lakers teammates Brandan Ingram and Kyle Kuzma appreciate Zo’s flow at least. Regardless, maybe Lonzo really needs some star power to make his first hit single for his next project? Rapper Rich Homie Quan said he’d rather shoot threes with the 2017 No.2 pick than get in the studio with him. However, rapper Tyga and West Coast legend DJ Quick said they’d collaborate with Lonzo Ball. Of course, Quick is a GOAT and Tyga had some hits a few years ago but Zo could use some features from rappers who are more relevant in 2018. Here are five rap collaborations that make sense for the Big Baller Brand MC. Athletes have been trying to rap for years. Legends like Allen Iverson, Shaq O’Neal, and Kobe Bryant dipped their toes in it during their first few seasons (Not together of course). Chris Webber, Stephen Jackson, Ron Artest and much more took their shots too. Now, a new generation is taking it a little more serious. Besides Lonzo, there are several NBA players making music who might be open to making a track. A few might be open to creating a track when their in L.A. Who knows, maybe music could help Zo and the Lakers recruit their next free agent? Shoot, Kevin Durant is rumored to make beats and collaborate with rappers like Dave East as well as fellow NBA stars like LeBron James. K.D. on the beat? What if NBA 2k18 was real? Spoiler alert, Damian Lillard is the key to the 2k studio in 2k18. He’s renowned as one of the best NBA players to ever touch a mic. He proved that with a freestyle on Sway’s radio show which is reserved for rap’s best. Lillard might teach Zo about playing point guard and share a few bars. Speaking of All-Star guards with musical talent, how about Victor Oladipo. He’s got tracks with Eric Bellinger and 2Chainz already in his discography. Could Oladipo give Zo a great hook for a rap song? Otherwise, Iman Shumpert is another ball player with some musical talent. His wife is Teyana Taylor so maybe the Big Ballers can get a 2-for-1 special for Zo’s next collaboration. NBA players collaborating for a track might be the best or corniest thing ever. We will never know unless Lonzo starts dishing out features like he does assists. A family affair with hits before the age of 21, does this sound familiar? Insert Rae Sremmurd as a natural fit for a collaboration with Zo. The Sremmurd duo took the music game by storm a few years ago with songs like No Flex Zone, Throw some Mo’, Come Get Her and more. A few years later they gave us the epic hit Black Beatles and others. 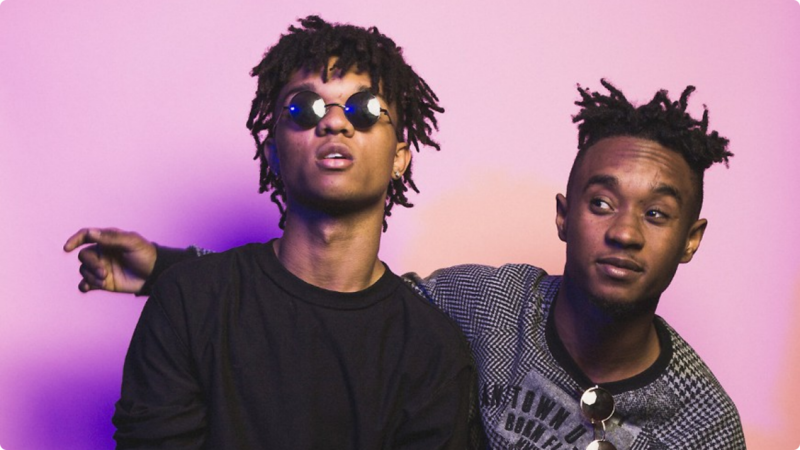 Now, both Rae Sremmurd brothers in their twenties and trying to venture into solo projects much like Ball Bros playing pro basketball. Imagine if Swae Lee and Slim Jxmmi got on a track with Lonzo? Swae Lee and Slim Jxmmi were both born in Inglewood but they have ties to the South. You can hear it in their music that has elements of trap and other styles. Zo’s sound is very trapped heavy so this should be a natural collaboration. If anyone could help Lonzo get a club banger it is this duo. As for hits, few have more than Metro Boomin. He also knows about being a star before he can legally buy a drink. This gives him some common ground with the Lakers rookie too. Remember, Lonzo got a lot of flack by saying no one cares about Nas because Future and amigos are real Hip Hop. This came via the Ball in the Family reality show only a few months after Zo chose 21 Savage’s ISSA album over Jay-Z’s 4:44. Disagree with him or not, you can definitely hear the trap and Atlanta influence in Zo’s music. He uses triplet flow similar to the one that the Migos are using. He’s got laid back flow reminiscent of Gucci’s. His Born 2 Ball album adds vocalists to heavy bass beats in a style like what Future and Young Thug have done in the past. Lonzo tries to get that low voice like 21 Savage or Kodak Black too. What do all of those artists have in common? Many of them have collaborated with producer Metro Boomin for mega-hits at various times. Therefore, Lonzo would be lucky to work with one of the best producers in hip-hop. Even if Metro isn’t a rapper himself, few now about producing a hit like he does. If anyone can help Zo make a banger, it is Metro. The point is, you can hear the trap influence in Lonzo’s music. If he wants to really capture that song he’d better send Metro some ZO2s. The one thing Ball has going for him here is being able to relate to Metro. Metro is also only 24 which closer to age than other prominent trap producers like London on Da Track, Mike Will Made it or Zaytoven. Thus, Metro and Zo should hit it off better than other great hip-hop producers. Lonzo and his family are infamous for creating their own brand and lane. They’ve disrupted the shoe game, water industry, apparel game and music industry. If anyone can understand the struggles and respect the hustle, it is Crenshaw’s own Nipsey. Nipsey Hussle is famous as an independent artist. He’s also got his own clothing line, speaks his own mind and does a lot for the community. Hussle could really show all the Big Ballers some tricks in and out of the booth. Musically, Hussle gives Zo some street credit for sure. He raps about his neighborhood, music industry struggles and his people. Those are concepts Zo may or may not know about. Either way, it would be great for Southern California to see this Crenshaw native collaborate with a suburban kid. They could make some music and really do good for the greater Los Angeles area. Speaking of gangster rappers from the West Coast. Lavar and Lonzo better go down the street and ask the Doggy Dogg for a verse. Long before the Ball Estate put the city of Chino Hills on the map, Snoop Dogg called this area home. Therefore, it only makes sense that Snoop Dogg should link up with Zo for a collaboration. This is a Chino Hills collaboration. Unlike other West Coast Legends that might link up with Lonzo, Snoop never really left music. He’s also familiar with the area that bred the Balls which is why he should be the top choice for a collaboration. Snoop has supported Lavar and the boys publicly too. Further, Snoop has proved his versatility by dabbling in Reggae, Funk, R&B, Pop and Gangsta Rap over the years. His musical game is almost as versatile as Zo’s basketball game. Snoop has also been a TV star and even created his own football league. This is the sort of resume that even Lavar Ball will respect. Therefore, Zo and Snoop should be a natural collaboration in the booth. Snoop should use his versatile music talents to compliment Lonzo’s laid-back flow. The West Coast legend might also do the collaboration if the Ball family threw him some Lakers tickets for him, his family or his football players. I can’t mention all of this West Coast talent for Lonzo Ball’s next season without talking about the other talents in greater Los Angeles. Did you hear Black Panther The Album? Top Dog Entertainment has a stacked roster of L.A.’s finest headlined by Isaiah Rashaad, Kendrick Lamar, SZA, Jay Rock, School Boy Q and AB-Soul. Factor in TDE’s upcoming roster like SiR and I doubt they have room on their calendar to work with Zo. Maybe, if they can get him to sign to their sports agency? 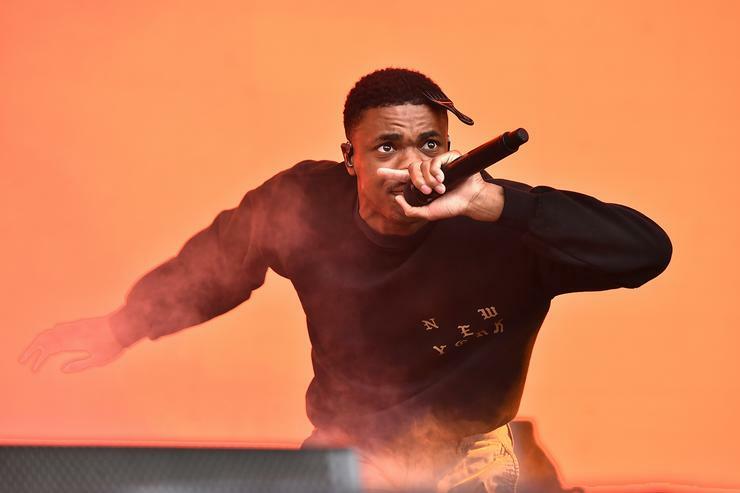 Otherwise, Vince Staples is a young and underrated rapper from the West Coast. He is a great social media follow and appears to be one of the smartest rappers I’ve seen interview. However, Staples is not here for any gimmicks. His sound is too modern and high energy for Zo’s rapping anyways. Maybe, Staples will bring up Lonzo at a show or something. Tyler the Creator is another outside of the box rapper from Los Angeles. Tyler and the Odd Future gang don’t subscribe to corniness or play games when it comes to music either. They’re probably too crazy for Lonzo Ball’s clean-cut image anyways. Either way, I’m waiting for Tyler to call out the Ball family in a rap verse our at least reach out for a TV show collaboration. Ty $ and YG are also some of L.A.’s finest. Except, YG’s music is probably way too explicit to work with the clean-cut Lonzo. Zo does have some vocals on his Born 2 Ball album which $ could clean up. However, he would probably just show up Lonzo and still the show. 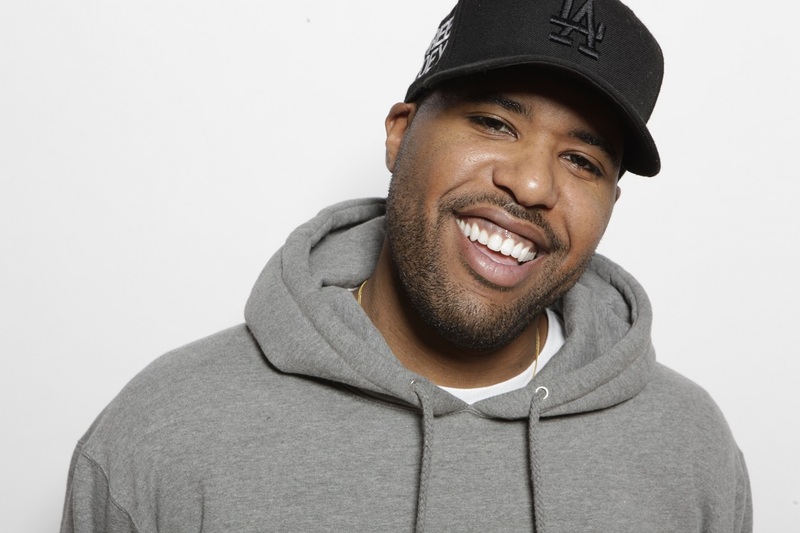 Dom Kennedy is an underrated West Coast rapper who could compliment Zo, though. Kennedy has a laid-back voice and he uses a variety of beats. He has a loyal fanbase that might mess with Lonzo too. Also, I’m sure Lonzo Ball would reach out to J. Cole for a verse. 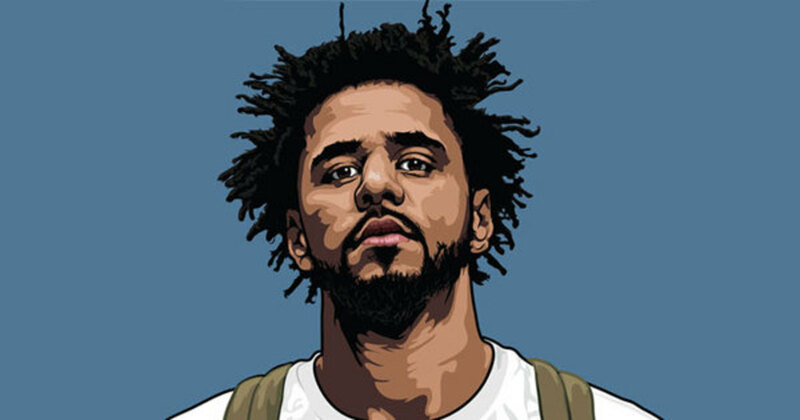 Cole rarely does features but the two had a similar hair syle for a bit. Drake might make sense too since Lonzo had a dope freestyle to one of his beats not too long ago. Ultimately, Lonzo Ball would be lucky to get any of these artists for his next collaboration. Ball’s music needs even more development and help than his basketball game. Therefore, it makes sense that Zo should lean on the talent of serious musicians. On the other hand, we know better than to expect the Ball Family to play by the rules or ask for an industry co-sign. Guess, we can expect more features from unknown rappers like Kenneth Paige who made multiple appearances on Born 2 Ball.